September 7, 2017 at 1:57 pm. What better way to compare the stately grandeur of Aldourie Castle than to depict some of the most famous and intriguing castle ruins of the Scottish Highlands. Make more of your exclusive use stay in one of Scotland’s most beautiful castles. Experience, up close, the past of these mesmerising buildings. Take a read of Aldourie’s personalised guide to the Scottish Highlands’ top 3 castles to visit. Urquhart Castle sits on Stone Point on the north-western shore of Loch Ness in the Scottish Highlands. It is relatively close to water level and inland you can imagine where the gardens and orchards would have stood. It is the epitome of a Scottish castle ruin featuring a dry moat which would have once, before its excavation, defended the castle. A stone-built causeway provides access and would have featured a drawbridge at one time. The castle is a popular tourist spot for those visiting the Highlands or more specifically the quaint, lonely village of Drumnadrochit. What is the history of Urquhart Castle? The present ruins of Urquhart Castle date from the 13th to the 16th centuries. The castle played a substantial role in the Wars of Scottish Independence during the 14th century. It was thereafter considered a royal castle, and was raided on several occasions by the MacDonald Earls of Ross. Urquhart was granted to the Clan Grant in 1509, though endured further raids by the MacDonalds until it was abandoned during the mid-17th century. Urquhart was partially destroyed in 1692 to prevent its use by Jacobite forces, and subsequently decayed. It was opened to the public in the 20th century and is one of the most-visited castles in Scotland today. As a result it resides in our list of Scottish Highlands’ top 3 castles. Why does Urquhart Castle appeal to tourists? It’s all about size. The castle, situated on a headland overlooking Loch Ness, is one of the largest (in area) in Scotland. 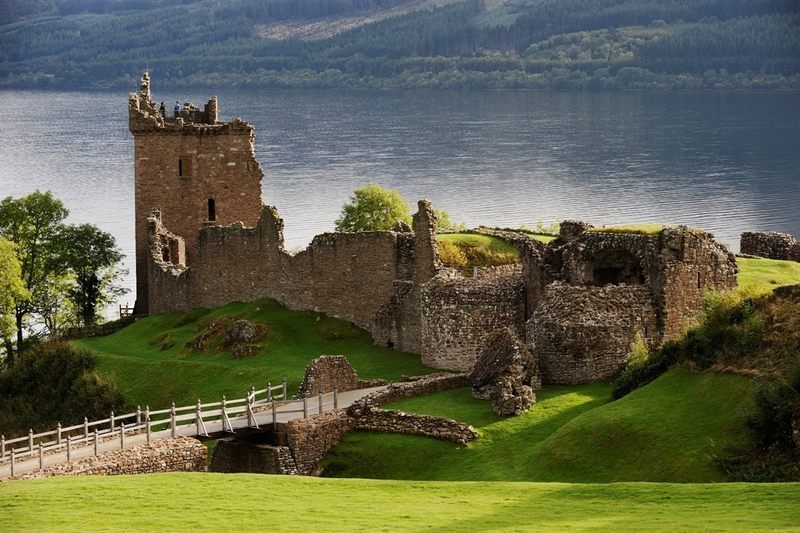 Like any castle ruins Urquhart Castle is a spectacular sight to witness. But what draws the crowds is its particularly scenic, famous and unique location: on the banks of Loch Ness. Loch Ness is famed for being the second largest lake in Scotland next to Loch Lomond, which is saying something. Not only that, but Loch Ness holds more water than any other lake in the British Isles. 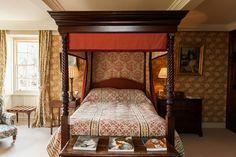 The appeal to holidaymakers is the combination of its historical beauty set against the dramatic scenery of the world famous Loch and the majestic Scottish Highlands. This alone makes it and Aldourie favourite and puts it in the Scottish Highlands’ top 3 castles. Urquhart Castle’s historic files go way back. The first documentary record of Urquhart Castle occurs in 1296 when it was captured by Edward I of England. Edward’s invasion marked the beginning of the Wars of Scottish Independence, which would go on intermittently until 1357. Why is this considered as one of Aldourie’s Scottish Highlands’ top 3 castles? The stunning castle ruins on the edge of Loch Ness is relatively local to Aldourie Estate, only 40 minutes’ drive away. When you’re driving through the Scottish Highlands, time seems to disappear anyway. The roads are so easy to drive along as they sweep past the spectacular mountains and lochs and there’s little traffic intervention. There’s also so much to see and appreciate; before you know it you’ve reached your destination. This attractively named landmark is one of the most recognised castles in the whole of Scotland. You may have seen it one shortbread tins, tea towels and scenic calendars if you have ever before visited a gift shop in the Highlands. Eilean Donan itself is a small island in the western Highlands and the meeting point of three sea lochs. The castle was restored in the early 20th century. A footbridge now connects the castle to the mainland, thereby granting easy access to a somewhat untouchable Scottish landmark. What is the history of Eilean Donan Castle? Eilean Donan was named after Donnán of Eigg, a Celtic saint in around 617. The castle itself was founded in the 1200s, and became a stronghold of the Clan Mackenzie and the Clan Macrae. The castle was destroyed in 1719 because of the Mackenzies’ involvement in the Jacobite rebellions. What you see is the castle in its reconstructed form in the twentieth-century. Interestingly, in the thirteenth century during the reign of Alexander II, a large curtain wall enclosed most of the island of Eilean Donan. At this time the area was at the boundary of the Norse-Celtic Lordship of the Isles and the Earldom of Ross: the island provided a strong defensive position against Norse expedition. Why does Eilean Donan Castle appeal to tourists? Eilean Donan is a picturesque castle which has frequently appeared in films, television dramas and documentaries so is fabulous landmark to pose a selfie against. Eilean Donan is part of the Kintail National Scenic Area; not surprising considering its postcard worthy setting against a shimmering water floor and lush green hills. Remarkably, in 2001, the island had a recorded population of just one person – even for Scotland that’s a pretty low land-person ratio! No wonder it’s on Aldourie’s list of the Scottish Highlands’ top 3 castles. Records suggest that there was a small Christian church on the island of Eilean Donan in the 6th or 7th century. Although no actual remains survive to this day fragments of stone do suggest an Iron Age or medieval history. The astonishing castle ruins have been redeveloped and reconstructed around six times; no wonder it looks tired now. Eilean Donan is one of the most important attractions in the Scottish Highlands. It beholds a significant tapestry of history since its beginnings in the 6th century. Amongst its ongoing association with invasion and feuding, the castle has seen many a clan stay within its walls over the centuries. This resonates with Aldourie’s very own family history. 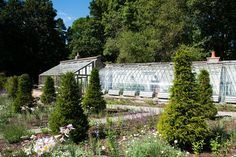 It’s little wonder despite the nearly three hour journey that many of Aldourie’s exclusive use guests like to pay a visit. Elevated from the mainland sits Dunnottar Castle, the ruins of a medieval fortress. It’s on the north-east coast of Scotland just outside of Stonehaven. Steep cliffs that drop to the North sea 50 metres below surround the ruins of the Castle. A narrow strip of land joins the headland to the mainland, along which a steep path leads up to the gatehouse. This dramatic and evocative ruined cliff top fortress was the home of the Earls Marischal, once one of the most powerful families in Scotland. What is the history of Dunnottar Castle? The surviving buildings of Dunnottar are largely of the 15th and 16th centuries, but the site is believed to have been fortified in the Early Middle Ages. For example, a pictish fort and place of worship was built nearby in the 3rd and 4th century. Vikings attacked the castle in the 9th century and William Wallace captured it in the year 1276. So much happened at Dunnottar Castle, (its dedicated website makes an interesting read of chronological historical events) that it barely got time to rest. Dunnottar Castle was finally rescued from ruin in 1925. Dunnottar has played a prominent role in the history of Scotland through to the 18th-century Jacobite risings because of its strategic location and defensive strength. Because of its sheer perseverance through history we have named it one our the Scottish Highlands’ top 3 castles. Why does Dunnottar Castle appeal to tourists? 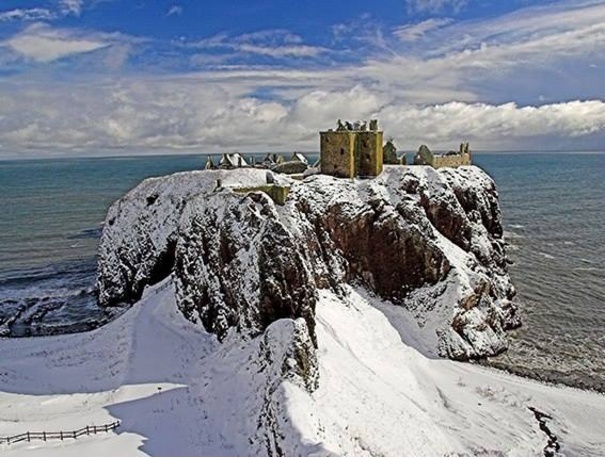 Dunnottar Castle is an iconic tourist destination for visitors the world over. The rock that the castle sits on formed some 440 million years ago; that’s enough to bring anyone to an historic landmark in Scotland. 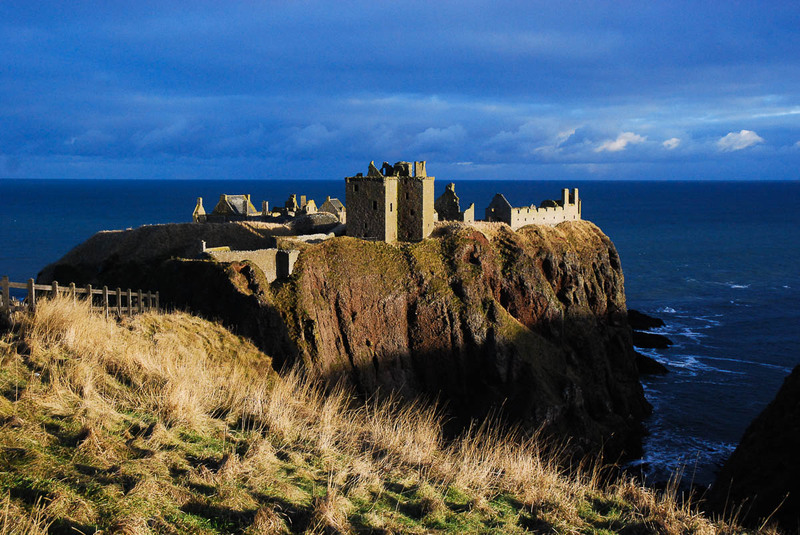 Tourists visit Dunnottar Castle for their own unforgettable experience as there is so much to see and do here. Try walking or cycling to the Castle from the nearby town of Stonehaven, itself a tourist attraction. The route to the castle is very picturesque. When you visit this special historic landmark you will soon discover the importance of Dunnottar. It is in simple form an invincible fortress that holds important secrets of Scotland’s colourful past. Dunnottar is best known as the place where the Honours of Scotland- the Scottish crown jewels- were hidden from Oliver Cromwell’s army, which invaded in the 17th century. Why is this considered one of Aldourie’s Scottish Highlands’ top 3 castles? There’s so much more to Scotland’s historic castle ruins than initially meets the eye. No matter how much you read about them, however, nothing can compare to visiting them and being inside those castle walls. Each castle in Scotland has its own history, its own mysteries and its own charm. 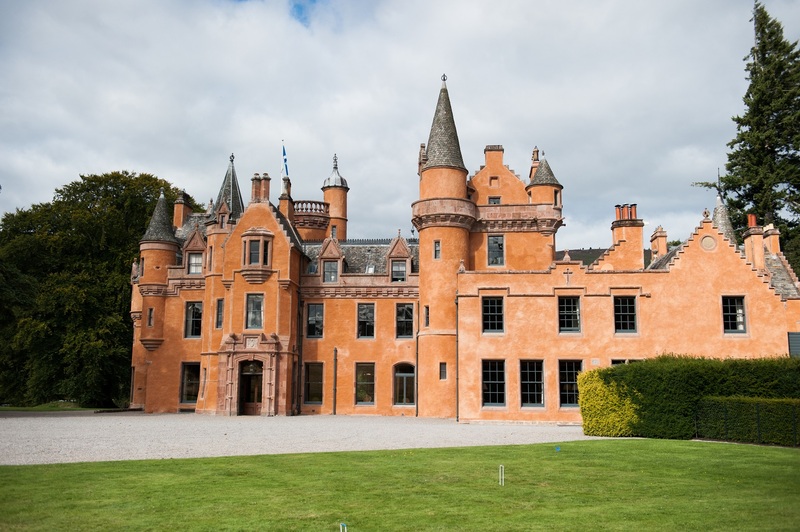 Step outside the luxuries of a private hire property in Scotland’s beloved Highlands and really experience the ghosts of Scotland’s past with a visit to Aldourie’s highly recommended Scottish Highlands’ top 3 castles.  March 19, 2017 at 10:18 pm. 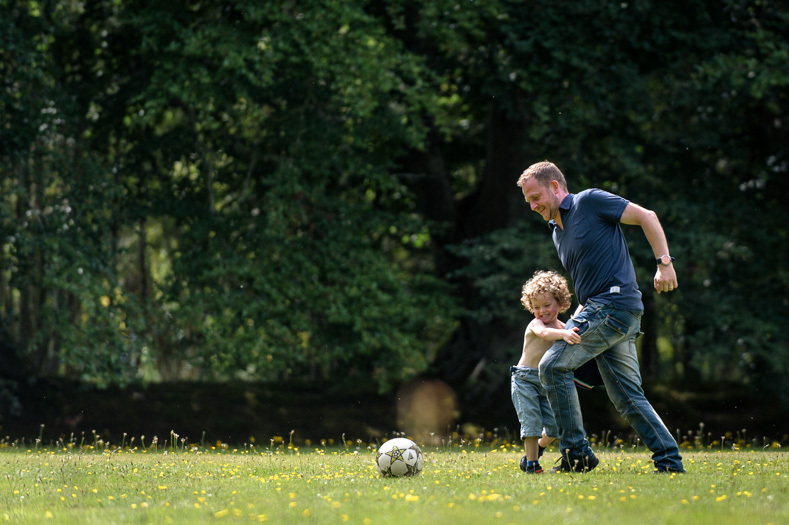 Today’s world is hectic and stressful so it’s important that we take time out to enjoy the simple things. Not only that, but, as a couple, you need to keep the romance alive and make lasting memories. Depending how frantic your own lives can be on a day-to-day basis, it can be necessary to ‘get away from it all’ in order to truly appreciate one another and put ‘life’ into perspective. We think the Scottish Highlands, and in particular Loch Ness, is the ideal holiday destination for 2017 and beyond. Here you can unwind, enjoy one another’s company and reflect on your past year together. 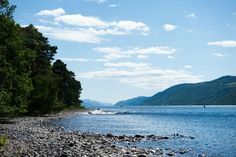 You’ll soon realise that Loch Ness, with its beautiful, wild countryside and calming waters, is a sanctuary for lovers. 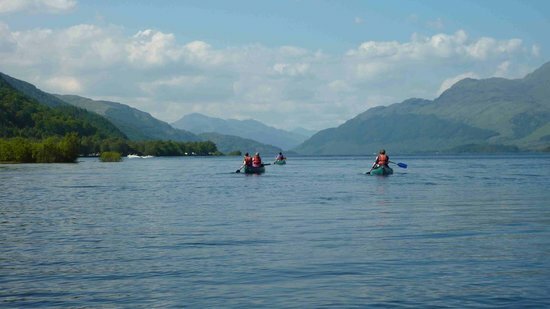 In order to assist, we’ve selected some of the best ways to enjoy your couples holiday on Loch Ness. You can browse the holiday cottage websites, go online to see photographs of the Highlands of Scotland and order brochures to your door. Everywhere you look, from websites and blogs to books, this surreal-looking place dangles a carrot promising pure escapism. 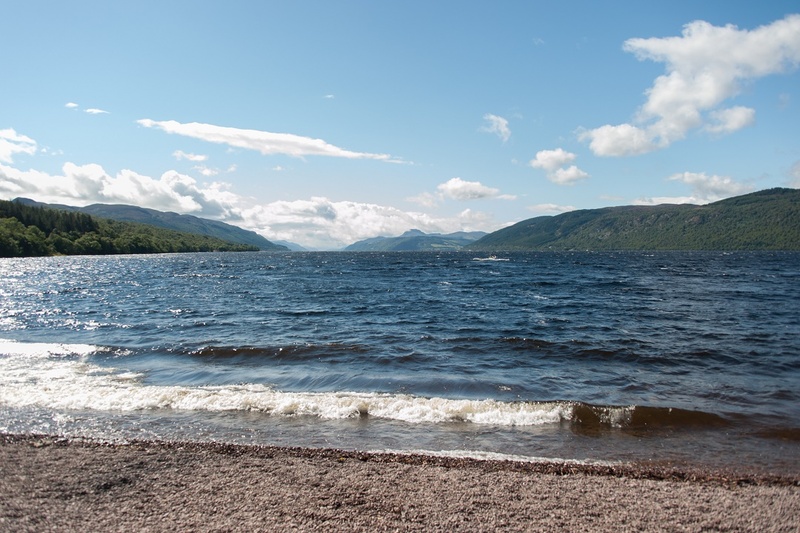 But, unlike many places, the moment you drive over the border into the Scottish Highlands and of course anywhere in the surrounding rural areas of Loch Ness, and lay your eyes on this overwhelmingly spectacular and other-worldly scenery, you will discover an unbeatable haven. It’s a place that has not been oversold or exaggerated – but is, in fact, just as you imagined. What a fabulous start to any holiday! Some couples like to stay inland and be enclosed by the glorious remoteness of the famous Highlands. 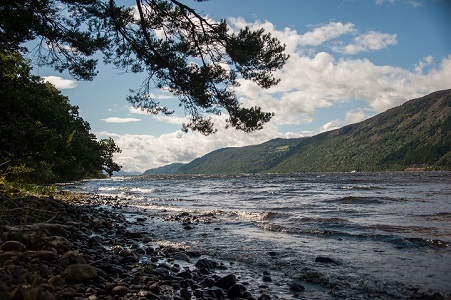 Others prefer to be on the shoreline of Loch Ness, as close as possible to its enticing romance. 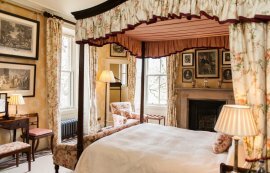 Aldourie Estate is an ideal hotspot for a romantic break in Scotland. Here, traditional holiday cottages combine rural bliss with waters’ edge making your stay here utter perfection. In the private lush grounds of a country Highlands Estate, couples can appreciate nature right on their doorstep. Look out of the window onto woodlands whilst you wait for the perfect mug of morning coffee to brew. Wait a while and roe deer will emerge to munch quietly on the brambles outside your garden fence. Their delicate, gentle nature makes for a most peaceful scene only accentuated by a dense backdrop of centuries’ old trees. Listen carefully for their leaves rustling up high in a gentle morning breeze. 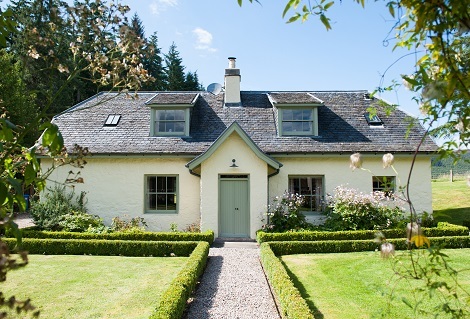 Everything about Aldourie culminates to embody a tranquil couples’ cottage retreat on Loch Ness. 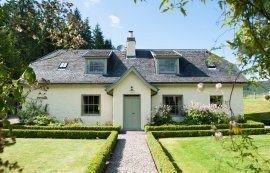 There are four individual – each in their character, layout and location – holiday cottages on Loch Ness at Aldourie Estate. 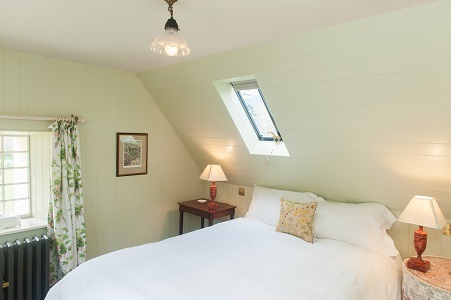 Two of these that really entice lovers to book are Ivy Cottage and Pier Cottage. 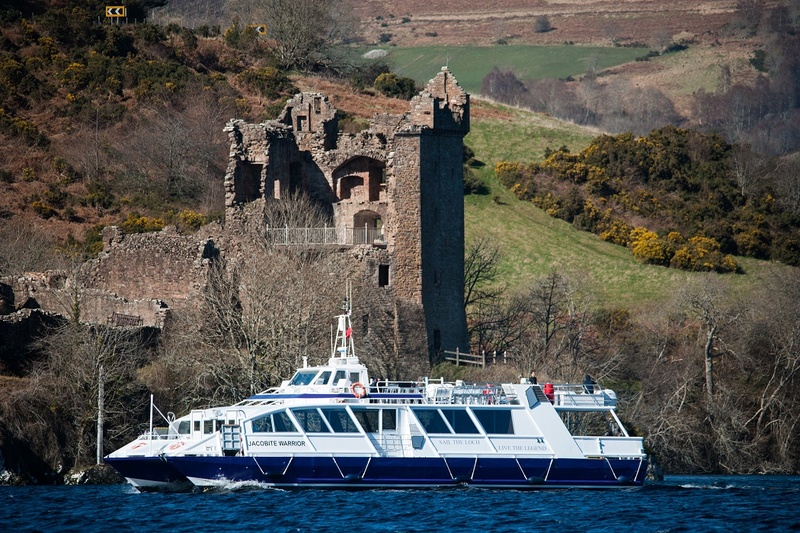 Both are very different but each offers a beautiful base for a couples’ holiday on Loch Ness. Ivy Cottage sits slightly away from the loch itself. On the edge of the Estate and its main pulls are its two en-suite double bedrooms set in the eaves of the property. Each has a similar interior design with naturally finished or antique wooden furnishings. Windows on both sides of the bedroom let you see the clouds idly pass by as you enjoy a hot drink from bed. Dark wooden beams overhead bring a simple nostalgic charm to the peaceful holiday dwelling. The rooms are spacious yet intimate and one has an elegant free-standing bath in a corner below a skylight – lie back and you really can watch the world go by. Downstairs at cosy Ivy Cottage you’ll find a light-filled dining kitchen complete with all the modern appliances that make dining and living simple. This frees up more time to focus on and enjoy your romantic short break or cottage holiday together. 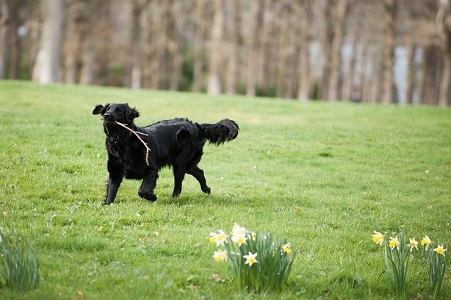 Soft throws, open fires and snug sofas invite couples to cosy up once the evenings draw in. 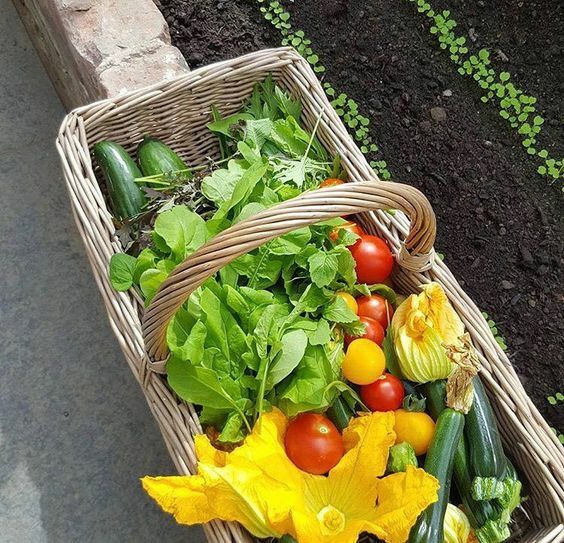 Outside, a pretty floral garden parted by a typical narrow cottage path to your front door from a romantic gated archway, is your surrounding paradise. A beautiful stone sitooterie is great for alfresco dining whilst watching the Highland cows in the adjacent field. Pier Cottage, by contrast, is located on the edge of the shore of Loch Ness. On a breezeless day as you sit in the garden you can hear the gentle lapping of the water as its waves break along the sand. With three double bedrooms you choice of outlook is varied. 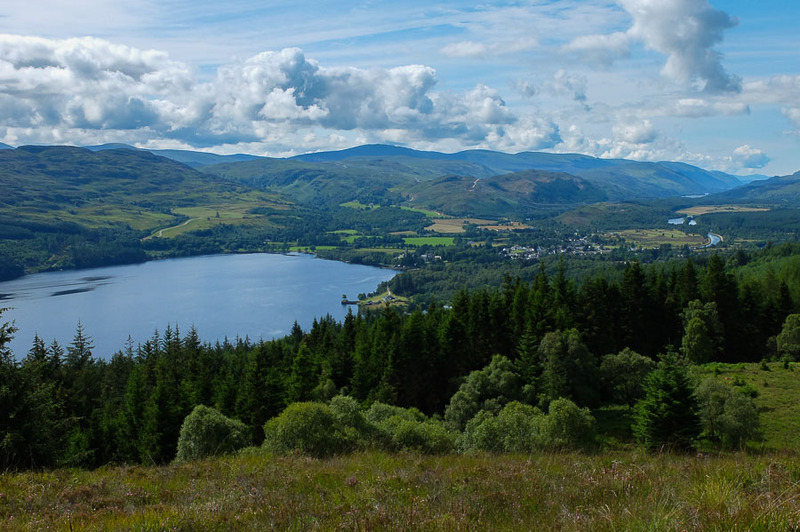 Opt for the view of the loch with its distinctive Highland hills or the fairytale woodland setting. A recently renovated kitchen provides a large space in which to enjoy preparing and cooking food during self-catered stays with your loved one. 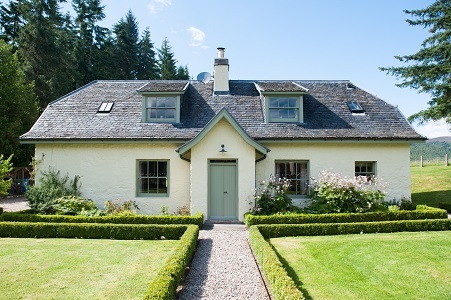 The property – which as close to Loch Ness as you’re going to get – is spaciously set across one floor. It is especially cosy during autumn and winter stays and features open fireplaces, comfy rugs, and soft muted colours. It is however equally as inviting in spring and summer having so many windows to let in fresh air and light. With land on all four sides and doors on three sides Pier Cottage houses many accessible romantic spaces to relax in. Couples who stay here will never be bored, even on a rainy day. 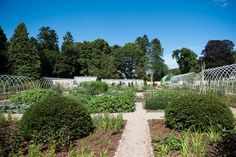 Its main garden is a haven; enjoy a refreshing afternoon drink in the sun or put the barbecue on. 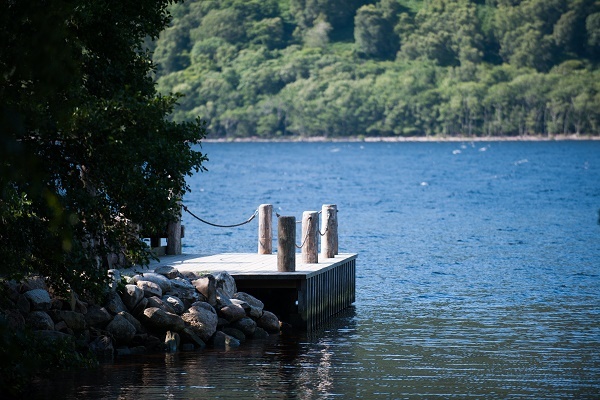 Walk it all off with a short but romantic stroll down to Aldourie Estate’s pier. Later, watch the sun go down over the rugged mountains beyond the shimmering lake. 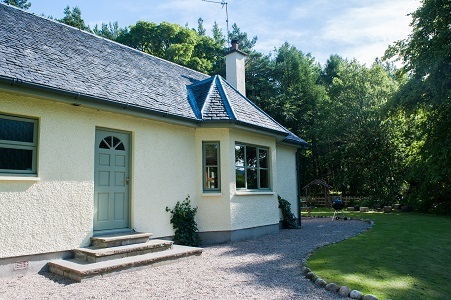 At Aldourie, realise your romantic holiday cottage stay of dreams on Loch Ness. A stress-free existence is everyone’s dream but it’s rarely achievable all of the time. That is why holidays are so important; not just while you’re on them but the anticipation of them too. Looking forward to something you really “can’t wait” for induces the excitement a child experiences leading up to Christmas. As a couple, that excitement can be doubled. 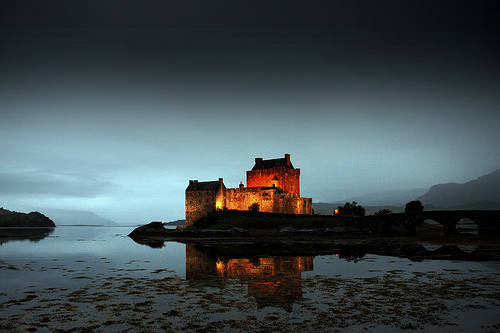 The true beauty of a trip to the Scottish Highlands, whether for a weekend break or two weeks, is its feel of ‘magic’. 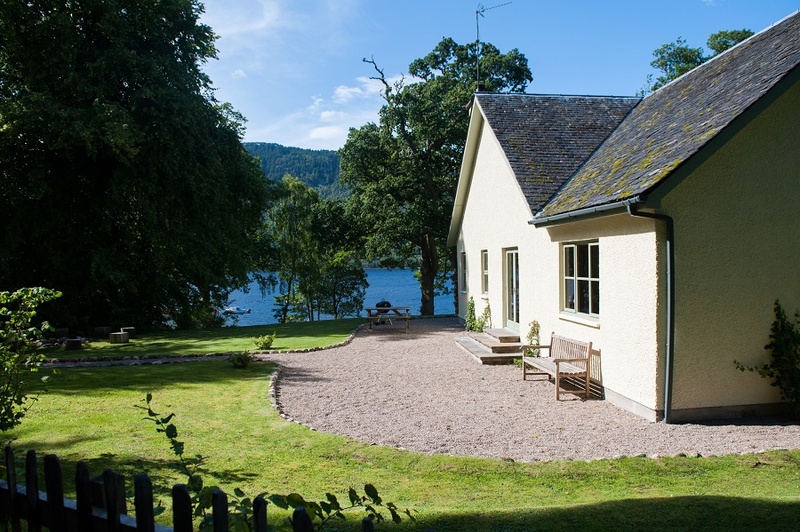 From the scenery you will see and the land you’ll discover- if only from your cottage window – your couples’ holiday hideaway on Loch Ness can be anything you want it to be. 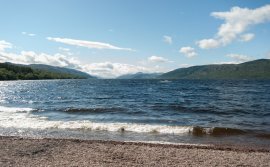 Our next chapter in the Aldourie blog will focus on the various romantic activities available in the Scottish Highlands for a couples holiday on Loch Ness. We we give you ideas for day trips off the Estate where you can explore what the Highlands has to offer. Then at the end of a day of sights and culture come home to your peaceful place.